After Pulwama terror attacks, India requested United Nations to list Masood Azhar as a global terrorist. Even though 14 countries of UNSC are in favor of the proposal, China blocked the request using its veto power. That is the reason, Indo-China relations is in news again. India & China have border issues mainly at Aksai Chin & Arunachal Pradesh. Border dispute is the main reason for Indo-China war 1962, and the recent Doklam standoff in 2017. China is maintaining good relations with Pakistan. It is building most advanced naval warships for Pakistan, and it is also selling weapons to Pakistan. As a result of this, India has national security concerns. And as a part of Belt & Road initiative, China is building infrastructure projects in Pakistan, which is called as China-Pakistan Economic Corridor, CPEC – This CPEC is passing through Pakistan Occupied Kashmir. India is not ok with it because of security concers. 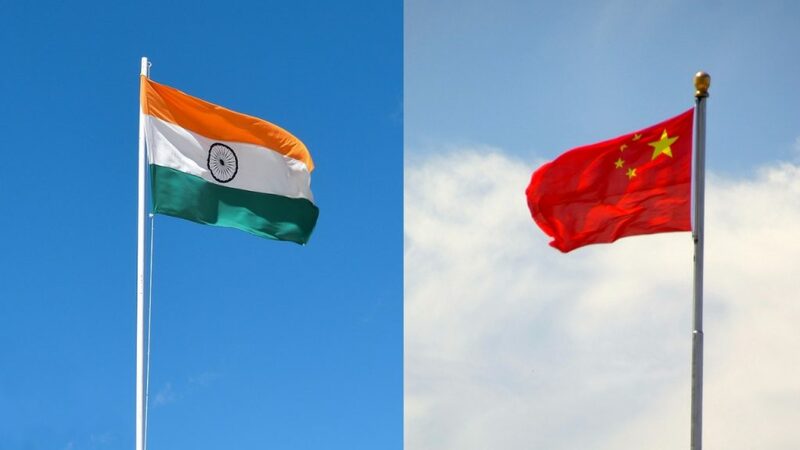 So this became another dispute between India & China. There are water issues between the both countries. China started projects to divert Brahmaputra water from flowing into India. This is one of the major threats to India from China. China is objecting to list masood Azhar as a global terrorist. This is because China fears that if it agrees for this, the next step of India can be to seek labelling of Pakistan as state sponsor of terrorism. As China has economic interests in Pakistan, it will not accept that proposal. And that is the reason even though China is against to terrorism, it is not accepting to list Masood Azhar as a global terrorist. But China should understand that its stance on Masood Azhar issue is not just a threat to international counter-terrorism efforts, but also damages its international image, because the whole world is accepting India’s concerns on the threat of terrorism. China is blocking India from entering into Nuclear Suppliers Group. This is another issue between India & China. There is a huge trade deficit between India & China. In the fiscal year 2017-18, there is 46.2 billion dollar trade deficit in China’s favor. China is trying to encircle India by establishing its military and commercial activities in Indian ocean, which is famously called as String of pearls theory. This string of pearls is a threat to India’s national security. India is trying to restrict China’s monopoly over South China sea, because it is one of the main trade routes. Thereby South China sea became one of the main issues between India & China. India is the first non- communist country to recognize communist China in 1950. For peaceful co-existence, both countries signed Panchsheel agreement in 1954. Panchsheel means Five principles of peaceful co-existence. India & China share common interests like eliminating terrorism, developing Asia etc. That is the reason both countries are part of regional co-operation organizations such as BRICS, Shangai Co-operation organization, G20 etc. Both countries have good trade relations. And to improve bilateral relations, India & China took part in an informal meeting at Wuhan in April 2018, which is called as Wuhan summit. This was an informal meeting between 2 leaders of the countries to reach a better consensus on the present disputes between both countries. Maintaining good relations is important for both the countries. India has done so much to improve bilateral relations with China, but More efforts are needed from China side. What are your thoughts on this topic? Express your opinion through the comment section. Subscribe to our blog to read answers to trending GD topics. the main reason of issue between india and china starts from the china pakistan economic corridor which is passing through the official indian territory.that is the pakistan occupied kashmir. china did not take the permission for building the road through this area which initiates the dispute between india and china. also there are different issues which happen in latest the pulwama attack and doklam issue. as the china saves masood azhar in united nation against all india favoring countries this are the several reasons of depleting the indo-china relation. Why china support pakistan ? there are various reasons the biggest reason is the CEPC which is passing through all over pakistan country. china investing millions of dollers in building the corridor and building gwader port for trading purpose. this is stratergic game plan by the chiniese goverment for their million doller saving plan.